New 'smart watch' to provide IDF medics with real-time info on soldiers' well-being. Meet the new "olive-green" smart watch, a technological breakthrough for the IDF's medical teams. 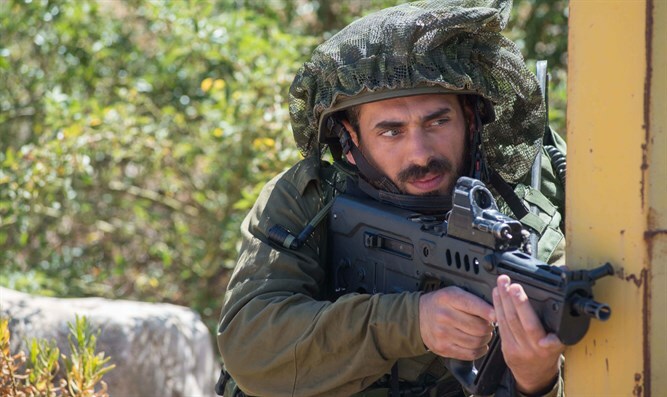 The bracelet will be worn during battle and will allow the IDF to monitor soldiers' vital signs and other medical statistics from afar, alerting relevant parties when a soldier needs medical aid. Among other things, the bracelet will rank the soldier's injuries as moderate, severe, critical, or light, allowing medical staff to prioritize soldiers who need help more urgently than others. The "smart watch" initiative is in an advanced stage of development and will be tested in the coming months, when medical staff will place a bracelet on the wrists of any soldiers injured during military operations. It is expected to save the lives of many soldiers on the battlefield. In addition, the bracelet will transfer all of the soldier's vital statistics to medical staff waiting to receive him. Potential recipients include helicopter medics, hospital staff, and others. The IDF is currently working to fix the potential security breaches inherent in "smart" technology.